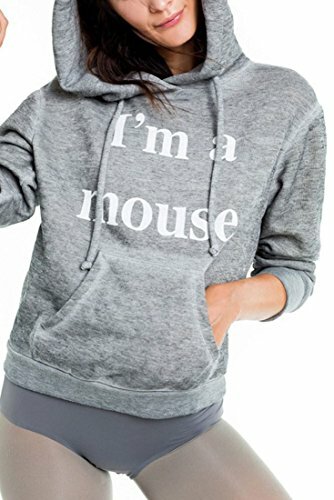 I'm a mouse duh.The Cuddles Mouse Hoodie is a classic pullover with a roomy hood and banded hems, complete with mouse ears. In our super soft burnout blend. In Heather. 50 % Polyester, 47% Cotton, 3% Rayon Model wears a size small Length: 23" Chest: 20"
The Cuddles Mouse Hoodie is a classic pullover with a roomy hood. In our super soft burnout blend. Wildfox Couture is a vintage-inspired women's knitwear brand based in Los Angeles. If you have any questions about this product by Wildfox, contact us by completing and submitting the form below. If you are looking for a specif part number, please include it with your message.